Elizabeth Peratrovich was an Alaska Native and civil rights leader whose fierce efforts guided the passage of the nation’s first anti-discrimination bill, enacted in 1945, a full two decades before the Civil Rights Movement was recognized by law. Prior to the Anti-Discrimination Act passage, Alaska Natives were separated in nearly all public facilities and made to attend boarding schools that forced assimilation in language, dress and culture. 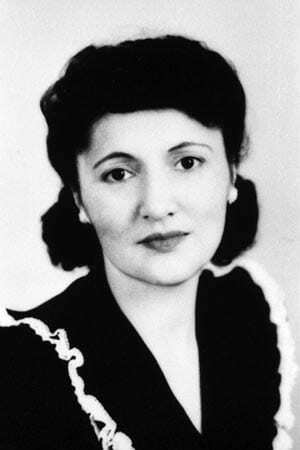 On February 16, recognized by the Alaskan Legislature as “Elizabeth Peratrovich Day,” University of Alaska Press released the first book about the leader. 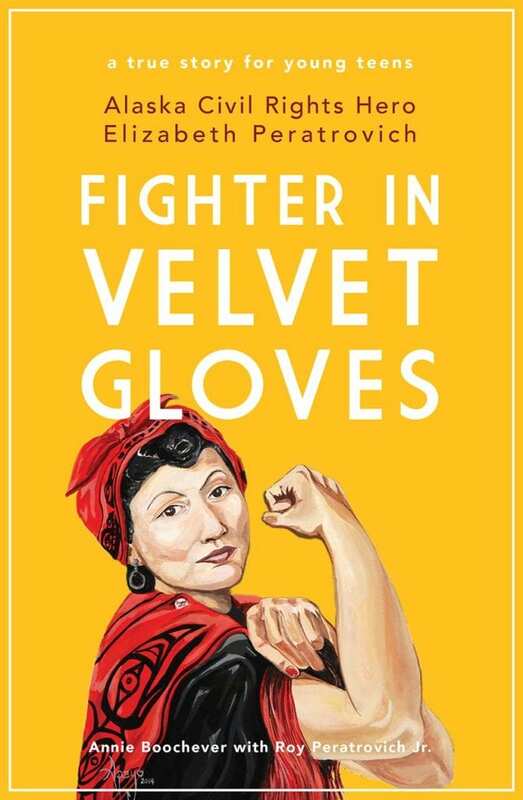 Fighter in Velvet Gloves, Alaska Civil Rights Hero Elizabeth Peratrovich was written by author Annie Boocheverin collaboration with Roy Peratrovich Jr., Elizabeth’s 84-year-old son and last remaining child. 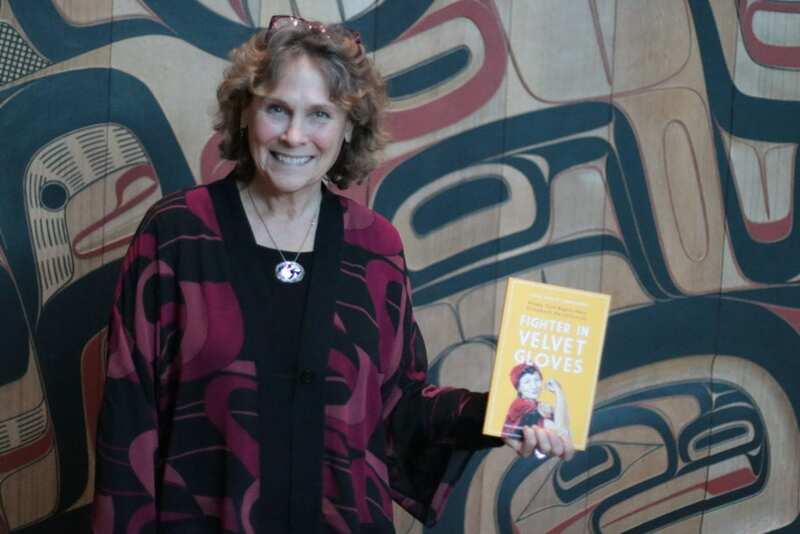 Unearth Women staff writer, Jenna Kunze, traveled to Boochever’s book signing in Juneau, and sat down with the author to discuss Elizabeth’s legacy and how it connects to Boochever’s own life growing up in Alaska’s capital. Unearth Women (UW): How would you summarize who Elizabeth Peratrovich was, and what her legacy for Alaska’s Native people has become? Annie Boochever (AB): I think many people, if they know about her at all, only know about her famous testimony before Alaska’s Territorial Legislature in 1945. She was a legendary speaker, however, she has a legacy that goes way beyond that testimony. She devoted her life to equality. In the summer of 1944, she traveled around Alaska by small plane with her youngest daughter on her lap, speaking in churches and small community meeting halls garnering support for the anti-discrimination bill. In addition to speaking in just about every town in Southeast Alaska, she flew all the way up above the Arctic Circle where the locals gave her fur clothing and ferried her to nearby villages by dog team so she could speak to Alaska Native people about the importance of the anti-discrimination bill. She had two other children to care for and since her husband wasn’t able to get time off work, she had to place them in an orphanage for that busy summer. Everywhere she went, people listened to her. Her enthusiasm was contagious. She helped convince three Alaska Natives to run for office in Alaska’s Territorial Legislature. Their addition to a previously all-white legislature increased awareness of Alaska Native issues and went a long way in winning support for the anti-discrimination bill. UW: What motivated you to write the 1st Alaska Native civil rights leader book for young adults? AB: I was an elementary classroom music teacher and librarian in Alaska for many years and was frustrated at the lack of ethnic cultural materials to share with my students. So I started compiling my own. I worked with local culture bearers to adapt their stories and songs into musical plays that I produced with my students. 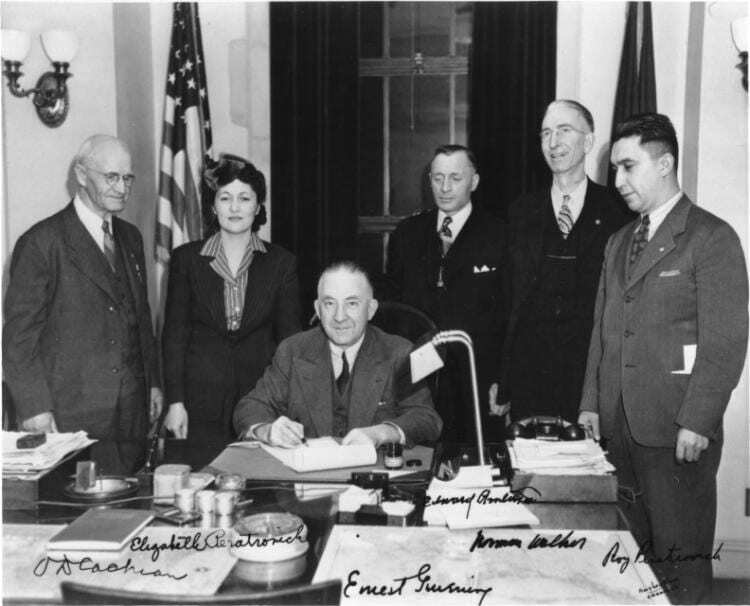 It wasn’t until 1988 that the Alaska Legislature actually proclaimed Feb. 16, as Elizabeth Peratrovich Day. Up until that time, very few people outside of Southeast Alaska even knew who she was. 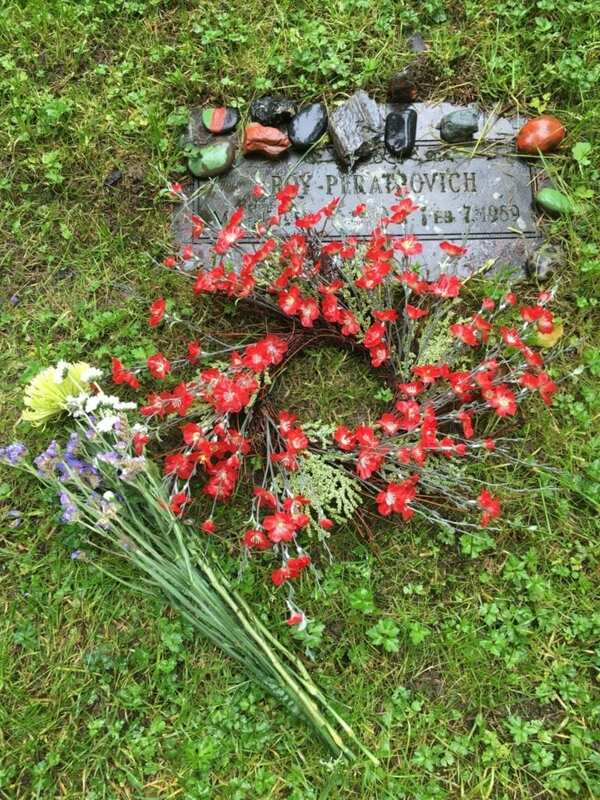 I was surprised at how few resources were available about Elizabeth Peratrovich. After publishing my first book in 2014, colleagues encouraged me to write a book about Elizabeth, but I knew I would need the support and assistance of her immediate family. The idea simmered until my niece was working at the Alaska Department of Transportation, and called to say she was working with Roy Peratrovich Jr., Elizabeth’s only living child. Roy Peratrovich Jr. was the first certified Alaska Native civil engineer, as well as an artist and author. When I shared with him my interest in his mother, he told me he would be excited to collaborate with me to tell his mother’s life story. UW: Growing up in Juneau in the 1950s, what was your own experience with racism and discrimination? AB: I witnessed first-hand a lot of prejudice in the public schools I attended and it really bothered me and stayed with my whole life. I remember in grade school when the kids wouldn’t sit next to an Alaska Native boy because they thought he smelled. I’m sure he lived on a fishing boat and fished with his family. I remember classmates making fun of the Tlingit elders when they heard them speaking their language. There just wasn’t much talk about racism then. Now, I think I would know more what to do in that situation, but I didn’t then. I just felt very uncomfortable and didn’t want to be around it. Before the anti-discrimination bill there were separate schools; everything was separated. Theaters, restaurants, most civic clubs like the Elks, even the cemeteries. After the anti-discrimination bill, a lot of discrimination went away, but it still persists today. 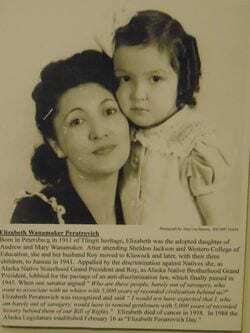 UW: When did you first learn about Elizabeth Peratrovich? AB: In 1980, when I began teaching at a school in Juneau, I noticed a large portrait of Elizabeth in the stairwell. I used to go up and down the stairs every day and think ‘I’ve got to find out who that woman is.’ Then, of course, in 1988 Elizabeth Peratrovich Day was proclaimed and there was a new awareness throughout the school, community, and state about this remarkable woman. One of the interesting things I discovered working on this book is the connections I had with many the players in Elizabeth’s story. Her son Roy Jr. used to deliver newspapers to our house and remembers watching my dad play basketball in town. I had a childhood playmate who turned out to be Elizabeth’s great niece. My family was friends with the pilot that flew Elizabeth around the state for free whenever he had an extra seat, and my family was personal friends with the territorial governor, Ernest Gruening, an important ally in the battle for Alaska’s civil rights. Governor Gruening and his wife Dorothy were often dinner guests at our home. UW: What do you hope readers take away from your book? AB: This isn’t some obscure story from an old history book. This is everyone’s story and it’s just as relevant today as it was in 1945. It is my hope that this book will inspire young readers to continue Elizabeth’s fight for the most important right in Alaska or anywhere else: the right to equal treatment under the law; no more, no less. UW: Why do you think MLK Jr. is a household name for Civil Rights but Peratrovich is not well known to non-Alaskans? AB: It’s Alaska. For years, we were this unknown, exotic place, pretty much just a picture of igloos, ice and snow, in people’s imaginations. Alaska only achieved statehood in 1958 and some people today don’t even realize Alaska is a part of the US. Elizabeth has only just begun to become recognized. Her legacy is like a growing snowball. Today, busts of both Elizabeth and her husband Roy Peratrovich Sr. are displayed at the Smithsonian Museum of the American Indian, in Alaska there are parks, theaters, buildings, and halls named after her, plays and even a PBS documentary. The US mint has recently announced that her image will grace a dollar coin by 2020, an honor for the Peratrovich family, the Tlingit Nation, all Alaska Natives and, indeed all Native Americans. UW: What discoveries did you make in your research that most shocked you? AB: The discovery of the circumstances around Elizabeth’s birth. She was an illegitimate baby given up for adoption to the Salvation Army in Petersburg, Alaska. Fortunately, Elizabeth was adopted by a kind Tlingit couple, Andrew and Jean Wanamaker, who took Elizabeth to their home in Sitka where Elizabeth grew up believing they were her birth parents. UW: How have Alaskan politics changed since the Anti-Discrimination Act was adopted into the Alaskan constitution in 1945? 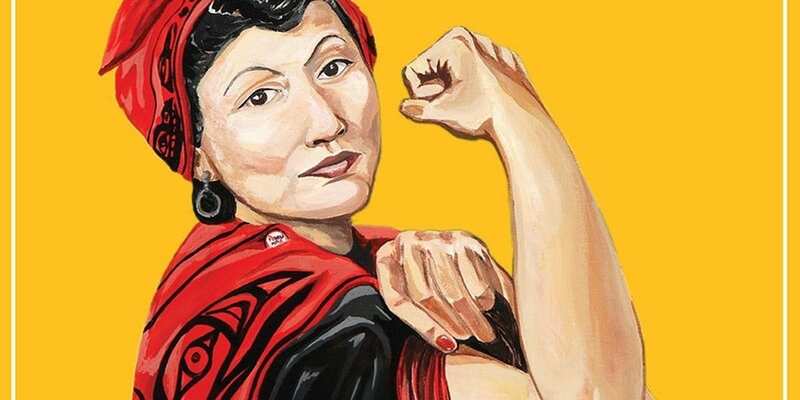 Elizabeth Peratrovich and her generation of Alaska Native leaders, planted the seeds of a civil rights revolution with their personal courage and commitment. The transformation is astounding. Today most of the largest Alaska companies are owned by Alaska Natives, and members of Alaska’s 229 federally recognized tribes manage a statewide system of tribal health organizations that is the largest in the US. An extensive network of Native-run cultural institutions preserves and celebrates Alaska’s eight distinct Indigenous cultures. Dozens of policy and educational organizations help protect and advance Alaska Native people’s right to life, liberty, and the pursuit of happiness. This is not to say prejudice is gone. UW: How can readers learn more about Peratrovich or Native Americans plight for civil liberties? AB: “For the Rights of All: Ending Jim Crow in Alaska” mentioned earlier is a documentary film depicting Alaskan history in the 1930’s and ’40’s. I would encourage teachers to show it as a compliment to the book. The Sealaska Heritage Institute has developed an education kit about Elizabeth Peratrovich that is available in schools in Alaska. As for Native Americans, a new resource coming out in July is An Indigenous Peoples’ History of the United States for Young People adapted by Debbie Reese PhD., founder of the blog American Indians in Children’s Literature. Finally, watch for a study guide for Fighter in Velvet Gloves, coming soon! I think Fighter in Velvet Gloves could be used in universities as a resource about racism during the ‘30s and ‘40s in Alaska. A lot of kids and even adults don’t know about it. Joseph Bruchac, Abenaki author and storyteller, called it, “The kind of book I wish my own children could have read when they were in grade school, a moving story that deserves a place in every school library in this nation.” It’s a useful book for anyone with an interest in Alaska history, America’s journey for civil rights, or strong women leaders. Jenna is a journalist and photographer whose work has been motivated by travel. After two years teaching English and freelancing in Asia, she relocated to a small town in Southeast Alaska, where she reports for a local newspaper. Jenna is a staff writer for Unearth Women, drawing on her past and future adventures for ideas about global females. She has been published by Matador Network, Outpost Magazine, Lost Tribe Travel & Lifestyle Magazine, Cargo Literary, and in various local publications in South Korea and Nepal.